VERSION#1 "Raging Bull" -simple, with a slight explosion! 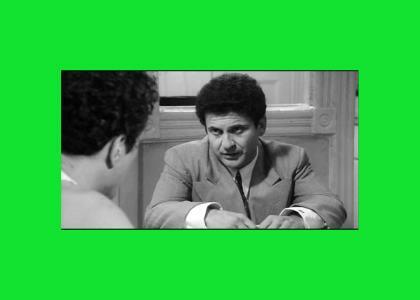 My Bro Jarrod suggested I make some new memes, so I stumbled across this scene from Raging Bull starring Robert De niro and Joe Pesci and thought what to do with it. I am creating a few versions and the one that gets the most views and 5 stars stays and the rest count as rough drafts, unless they all get great success then I will keep them up for y'all. Feel free to make your own versions!